Figure 41. 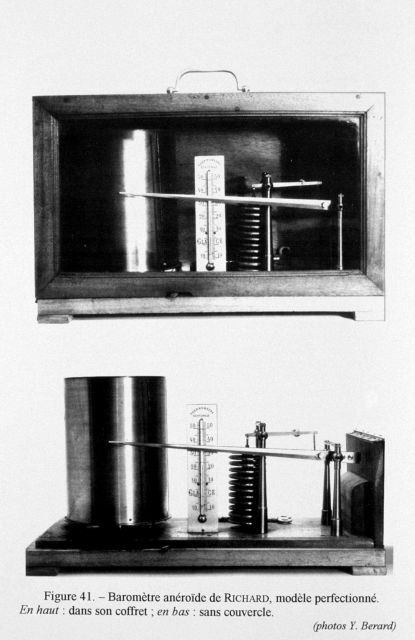 Aneroid barometer with register built by the firm of Richard Brothers. This model was meant for use on vessels. This particular instrument was used by Prince Albert I of Monaco on board the PRINCESS ALICE and PRINCESS ALICE II between 1892 and 1899.